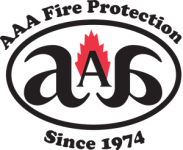 For comprehensive commercial kitchen hood cleaning in Antioch and throughout the East Bay Area, businesses can turn to the industry experts at AAA Fire Protection Services. We have been serving Antioch businesses and businesses throughout the entire San Francisco Bay Area for more than four decades. We bring a deep understanding of California fire code and UL300 standards to every account we service. Our comprehensive services include the installation, maintenance, and testing of restaurant hood fire systems, as well as the required restaurant exhaust cleaning that needs to occur twice per year. To round out our services we offer grease filter exchange service that removes noncompliant exhaust hood filters out of your system and replaces them with baffle style 18-gauge galvanized units, which help kitchen hood systems run more efficiently. Our grease exhaust cleaning services include replacing grease hood filters so that your kitchen hood system runs at peak efficiency. If your Antioch commercial kitchen is ready to work with a professional team with expert experience, just give us a call at (800) 543-5556.